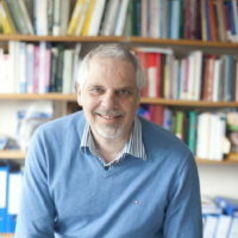 Dieter's main research interests include developmental pathways leading to developmental psychopathology; social and emotional development; especially school and sibling bullying; the development of biological at risk children (very preterm children) and infant regulatory problems (crying, feeding, sleeping) and parenting. Dieter currently manages a number of longitudinal studies as Director, Co-Director or Co-Principal Investigator including the Bavarian Longitudinal Study (BEST: http://www.bayerische-entwicklungsstudie.de/), Understanding Society – the UK Household Panel Study (USoc: https://www.understandingsociety.ac.uk/) and EPICure (http://www.epicure.ac.uk/meet-the-team/epicure-study-page). Dieter has published over 200 articles including in the New England Journal of Medicine (NEJM), The Lancet, BMJ, Archives of General Psychiatry/JAMA Psychiatry, the American Journal of Psychiatry, PNAS, American Journal of Human Genetics, JAACAP, Psychological Science, Pediatrics, Child Development, Journal of Pediatrics and others. Dieter teaches Developmental Psychopathology (undergraduates) and Clinical Applications (post graduates).